Wow. Alrighty. OK. I think you’re talking about Colt, not Scout. Scout doesn’t exist here. Colt will get his own entry another day, so let’s move on to the rest of the pack. Lucas’ paw was healed. It looked great… I was thrilled. Then he escaped from my yard and went and helped the neighbors trail some cattle down the highway. Oh, really, I don’t know if that was it or playing with the puppy or what, but his paw is back to worn off. I’ve started doctoring him AGAIN, dadgummit! Dally is just going out of heat, so she’s happy to be on a looser leash, so to speak… She and Lucas don’t even look at each other, but I’ll still keep them separate for a while longer. She plays with the puppy, but simply warns Tuff away. She’s cranky, she has a bubble, and we just live with it. Puppy still doesn’t have a name, but maybe I’ll just take the one I fell in love with in the first place. She’s ornery, nippy, with no manners. She walks on the leash fine, sits for meals and other requests, but seems to forget other things I’m trying to teach her. Hard-headedness is a great attribute for a cowdog, but getting through puppy stage is a challenge! Tuff and her played and played and played this morning… of course, she had to boss him around a bit first, but then it was ZOOOOOM! “Training, exercise, diet, wellness” Shoot, I can’t even keep myself in shape… Dally tends towards chunkiness like her momma did. Lucas could eat twice as much and still not gain weight. Puppy is just always hungry. We walk, or I take the Rhino, and they run… They go along in the pickup and work or run or lay in the sun, whatever the day calls for. There is no program. There is no training. There is no diet. Are we sore and out of breath when we work? Yup. Me right there with my dogs. We match. Pam: I just don’t know why you comment that the future of Red Dirt in my Soul is questionable. Could you please clarify this for me? I understand about the loss of pictures from moving the site, etc, but why does that affect the future? many of us still want to follow your ranch life, your family, the dogs, etc…see how all those grandkids grow…so why stop now? Irmgard: THE most important question: WHAT can we, your fans, DO? I just read your note on the right margin: This is a shock and so sad! You have worked so hard to carry this wonderful Blog here from the other place, and you have put so much heart and soul and talent and time into Red Dirt – we cannot allow you to give up! Wasn’t there someone who said they could retrieve the photos? Are the photos really lost? What if you called in a professional to make Red Dirt whole and healthy again? What if we, your FFF (friends, followers, fans), got all together – virtually – to try and save Red Dirt? How can we help? Would you consider putting up a Donate button so that we could effectively support this Blog? I, for one, do want to help if I can, to say Thank You for all these years of “Red Dirt” – your blog has given me so much, dear Carol Greet, it is high time I gave something in return! Wow. Sincerely, Irmgard, your note left me stunned! What an amazing, generous soul you have! You are sweet to offer so much! As you can see in the answer above, M.C., for now, has my back and is hard at work in repairing Red Dirt. I don’t think there’s anything M.C. needs, (if there is, please let me know! ), but an enthusiastic thank you from you probably wouldn’t hurt! 😉 I did work hard thinking I was doing things correctly in switching my photos over, then to have it not work… it was soooooo devastating. I was a mess, tearing up just thinking about blogging. But you know what keeps me going past 11 pm every night??? Nice people like you that comment, and say I made you laugh, or I taught you something, or I encouraged you to try something new… so really, if you want to do something… shoot me a comment every now and then. Ask a question about something that has you confused. Share a post with someone who might enjoy some Red Dirt. Spread the word that Red Dirt exists. Irmgard, thanks for being here all these years! You are special! Great news about the help you’re getting to continue your blog. Also, you have great fans! That must make your heart feel good. KathrynJane, Thank you! I’m very happy to have made the cut. Where did you live on your ranch? That blue door looks great! It must cheer you up every time you see it–going in or out! 😉 I also love your blog and have been “following” and enjoying you for many years. You and your life are so amazing and interesting. You and your blog are very much appreciated! Thanks so much, Sandy! 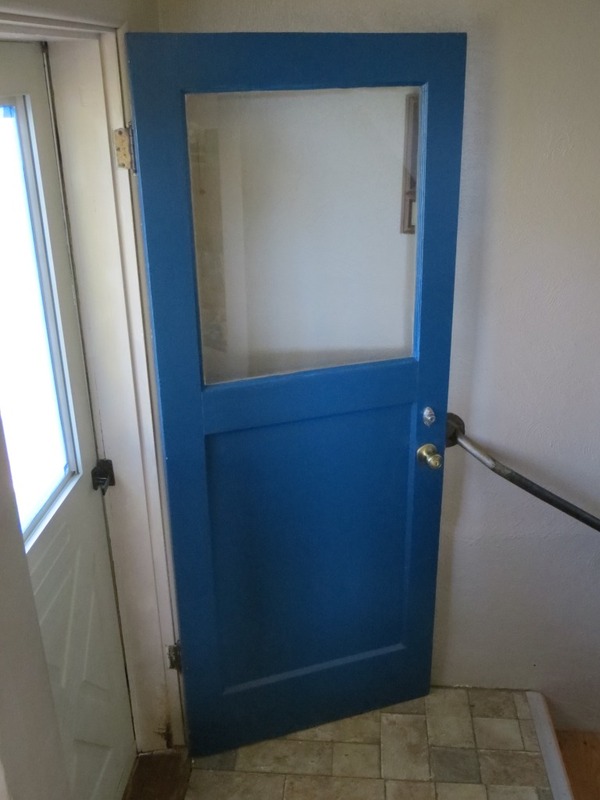 The blue door is amazing, though I need to sand it down! Too many layers on it now and it gets STUCK! Love the door and always enjoy Q&As! I learn something nearly every time. Awwwww. Thank you, thank you! I love that blue door! 1,000 % improved from the first picture which looked a little hopeless! Blue is my very favorite color….every gift your mom gave me (and there were lots of them) was blue! I remember that! Blue rules! I don’t say much either but I love your blot read it every day – love your blue door! Sorry that I don’t say much, but your blog is an essential part of my email check, every time! So thank you thank you for sharing ‘it’ like it is! Love it! The new blue door looks great. Well done. The first two items, whether it is books or other items are actual links to Amazon. Maybe I’ll put up a real link… keep watching! Now,that’s what I call a Q and A ….. whew! Love the new blue door!